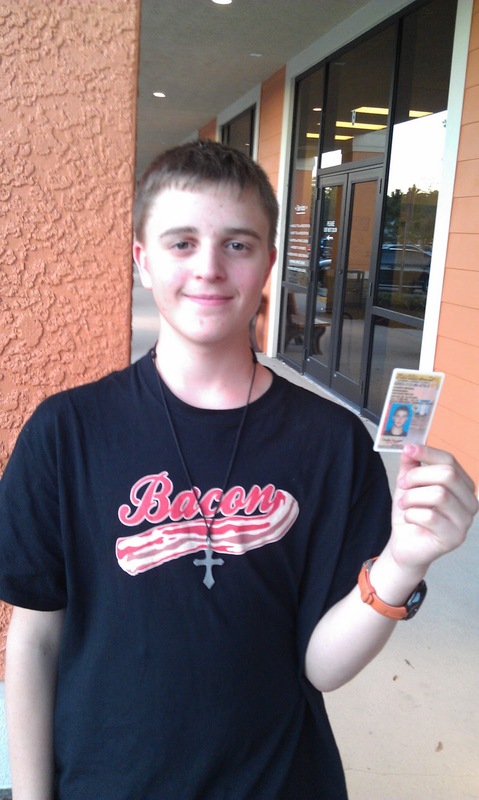 Yesterday was the day... he earned his learner's permit. He may not have smiled for the picture, but after weeks of studying and practice tests, he was smiling all around it. So the driving begins. Eric says he is a natural... and I am thinking that that just may be one more of those quirky differences. Good luck! I have to say that isn't a milestone I'm looking forward to. what a sweet boy--in both pics! Congrats Cam!! Oh, thats a road we will be travelling in the fall! I will need all the advice you can give me!